​Chiang Mai is the major transportation hub and gateway to Northern Thailand which has become increasingly popular with travelers. Well known northern destinations include Mae Sariang, Mae Hong Son, Pai, Chiang Dao and Chiang Rai. 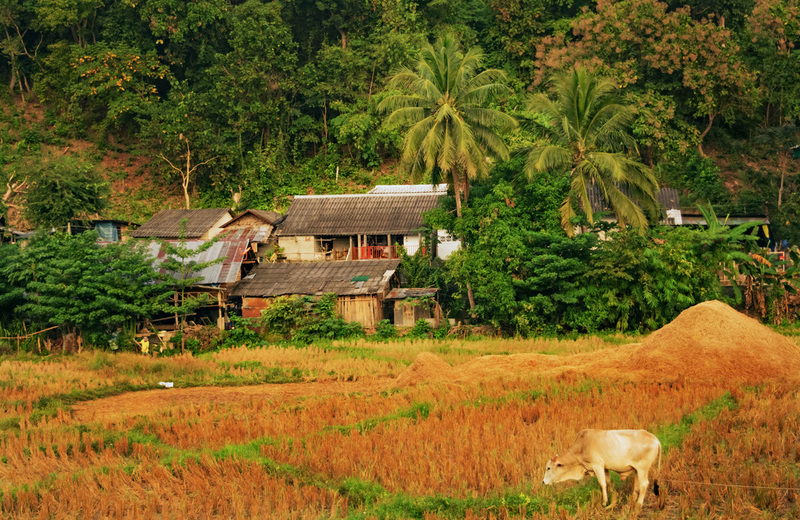 Beginning and ending in Chiang Mai the “Mae Hong Son Loop” is a well known route traveled by motorcycle enthusiasts. The basic itinerary goes something like this; after renting bikes in Chiang Mai, riders will head west on highway 108 towards Mae Sariang then continue north on the same highway to Mae Hong Son. North of Mae Hong Son the highway becomes 1095 and eventually veers to the east and then back to the south through the very popular town of Pai. Heading south of Pai, highway 1095 connects to highway 107 leading travelers back to Chiang Mai. The road from Mae Hong Son through Pai to Chiang Mai has many sharp bends and turns, earning it the nickname “Land of 1648 Curves”. Of course this circular route can be taken in either a clockwise or counterclockwise direction and the there are many different small towns and places to see along the way. It can be done in a few days or a few weeks depending on how much time a traveler has available. For people who are not interested in, or can not ride motorcycles the same trip can be easily done by bus or mini-bus (van), which costs around 100 Thai baht (less than $3 USD) per leg. No matter how what transportation method or itinerary is chosen, visitors are sure to be impressed by the beautiful scenery that this mountainous region has to offer. It’s fair to say that the most popular activity in this part of Thailand is trekking and guides can be arranged through most hotels and guest houses.